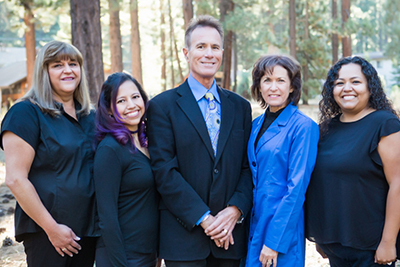 Preventive Dental Cleanings – Tahoe Family Dentists - Providing excellence in dentistry in South Lake Tahoe. We recommend that you come see us every 6 months for a cleaning and a dental exam to prevent decay or disease from developing. 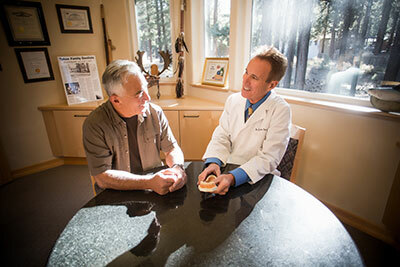 You should visit your South Lake Tahoe dentist every 6 months for a cleaning and a dental exam. These check-ups may also include digital x-rays, and if you are a periodontal therapy patient we may schedule that service at the same time. Your dental health depends on keeping these appointments and maintaining a regular at home oral care regimen. A preventive cleaning is designed to evaluate irregularities before they become serious dental issues. When you have your cleaning twice a year and a full dental and oral exam once a year, a problem never has longer than 12 months in which to appear and develop, and we can catch and mitigate damage before it becomes severe. Some people hesitate to come in for a cleaning because they haven’t visited the dentist in a long time. Don’t be ashamed or afraid to call and ask for an appointment. We know that there are situations in life that can prevent people from getting proper dental care. What matters is that you take the first step today! When you have a preventive cleaning, the hygienist gets a chance to look at the state of your teeth and gums, clean away any stubborn tartar or plaque, and check for problems that may have cropped up since your last visit. When you arrive for your preventive cleaning, we’ll usually ask you to either fill out new patient paperwork (in which case arrive 15 minutes early), or check the existing paperwork we have on file in case it needs to be updated (for returning patients). We’ll verify why you are at our office make sure we have the insurance authorization for your treatment, and make arrangements with you for any portion of payment for which you are responsible. You can let us know if you are anxious or fearful at this time, and we’ll make a plan to keep you comfortable during your treatment visits, including the use of sedation if needed. X-rays will be taken if necessary, and the hygienist will thoroughly clean your teeth and gums. The dentist will review your x-rays if applicable, and perform a complete dental examination. Fluoride treatment may be recommended. Your dentist will discuss any potential issues with your teeth with you, and recommend the appropriate course of treatment. Do You Need Preventive Dental Cleanings?